Three reports from the six-month ‘Fodder and feed in livestock value chains in Ethiopia – trends and prospects’ project were recently produced by ILRI. The project was led by ILRI and involved the Ethiopian Institute for Agricultural Research, the Amhara Regional Agricultural Research Institute and the International Center for Research in the Dry Areas. 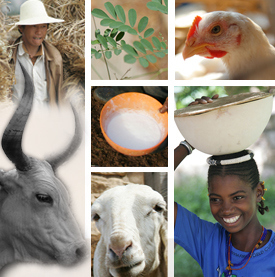 The project aimed to develop a preliminary understanding of how feed components of intensifying livestock production systems in Ethiopia are changing as systems intensify and how this is reflected in the feed-related elements of focal value chains. The project outputs included three synthesis reports along with a series of field reports that can be accessed via links in the synthesis reports. This project was funded by the Australian Centre for International Agricultural Research (ACIAR); it is part of the CGIAR Research Program on Livestock and Fish. Tags: ACIAR, ELF. Bookmark the permalink. I think this is one big change for livestock sector.